Glam Morena: 10,000 Subscribers Giveaway! I hit 10,000+ subscribers on my Youtube Channel a few weeks ago. I'm currently hosting a 10,000 Subscribers Giveaway! This giveaway is opened internationally. 1 subscriber will win the Lorac Box Office Hit Full Face Palette! 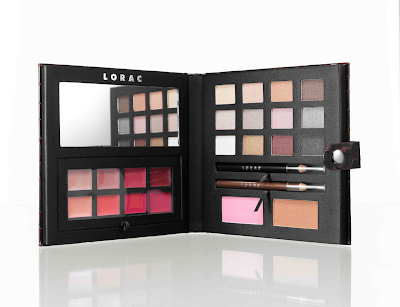 The set includes 12 eyeshadows, 2 eyeliners, 1 blush, 1 bronzer, and 8 lip colors. It's worth $210! For more details be sure to visit my channel or click the video above. Good luck everyone and thanks for the support!